The moss covered log in this photograph would be the perfect spot for a mid day break along this mountain stream. 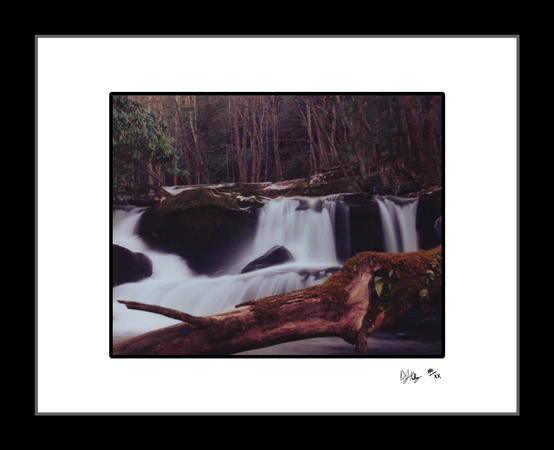 With the cascades of the river in sight, the thick laurel plants, and the dense tree stands; this location is as cool and relaxing as any you can find in the Great Smoky Mountains. Just enough light filters through the trees to illuminate the cascades in this photograph and bring the rushing water to life.